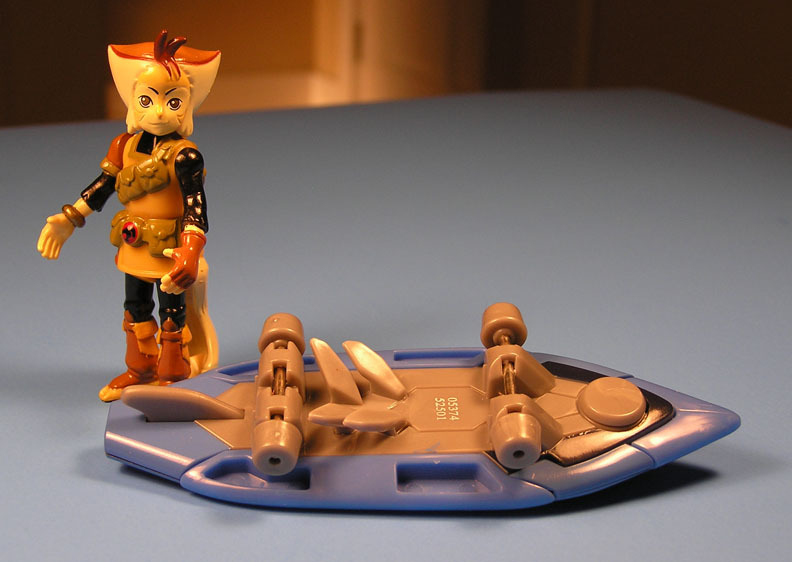 Thundercat Wilykat is the best toy from the 4 inch line so far, as he comes with a roller-board. The toy with the roller-board always wins. Wilykit also has one, but she doesn't have the detail that Wilykat has. 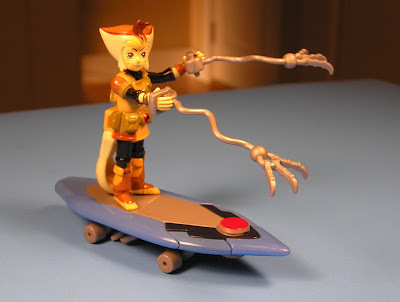 Wileykat has solid extendo claw arm weapons, that I have yet to see on the show. 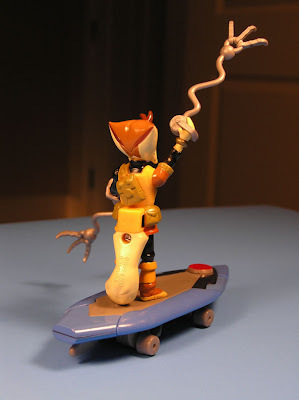 Surprises to me, his tail anchors onto the board, not his feet. I also, almost missed that his roller-board opens up to roller-attack-board! That is totally awesome! Pinchers on the front, and guns on the sides. The bottom side of the board is also nicely styled, with spiffy fins. I wouldn't say it rolls great, more like slides on a smooth table. It does roll up one's arm pretty well though. 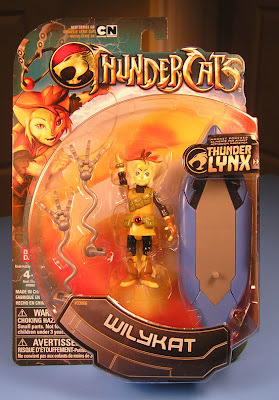 The Wilykat figures lacks articulation, with his legs pretty much stuck in his shorts. His arms can pop off easily. Head rotation so-so. It might have been fun to have a joint on his tail. I think it's not really a bad thing though, as the roller-board steals the show. -Greatest reflection photo ever? 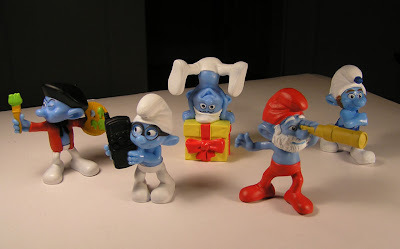 Or Trick photography? 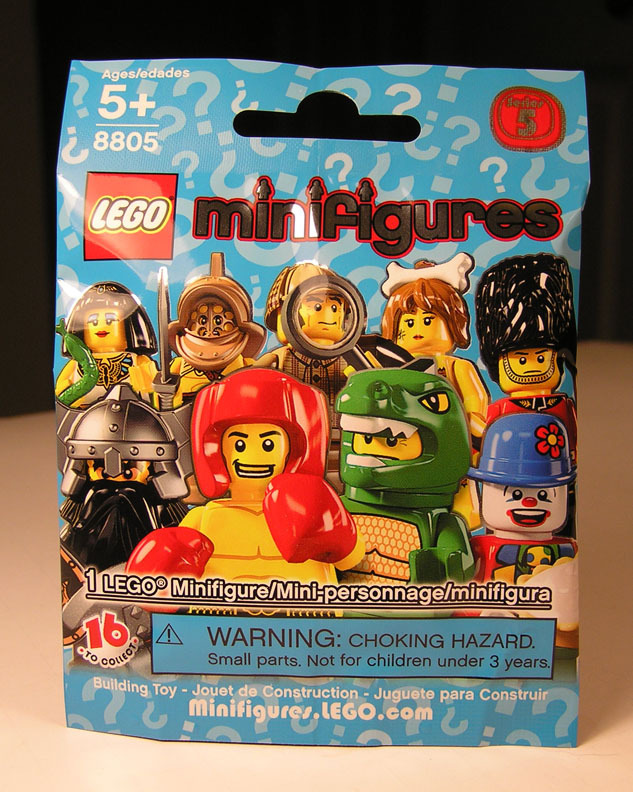 Lego Minifigures series 5 ! Bump codes and the agony of finding the one you want. 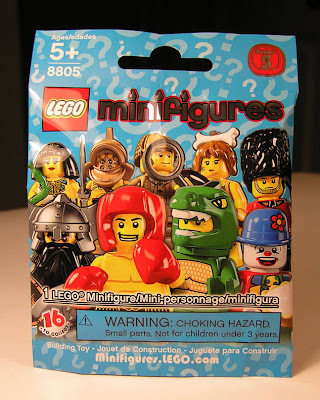 Lego Minifigures series 5 are out on shelves, and here we go again! 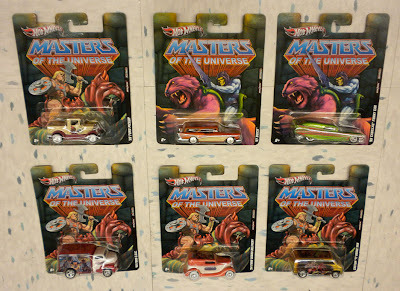 16 brand new figures to go crazy about, and with blind packaging blinder than ever, get set to go insane! There are online bump codes to study (packs have unique bumps on the back bottom seal), but rumor has it they are also number tagged, so its getting pretty ridiculous. Not that these darn bumps are accurate at all, not to mention blinding. The bags are blue again, maybe a lighter blue this time. 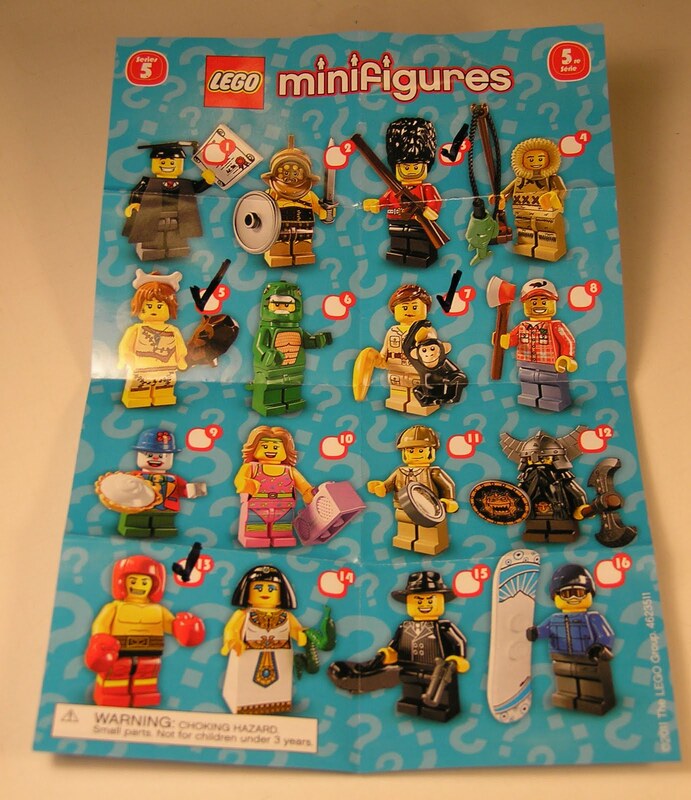 The assortment is starting to show some signs of fatigue, as they are doubling/completing sets, like Cave-woman for series 1 Cave-man. The female gymnast almost looks like the female pop singer. 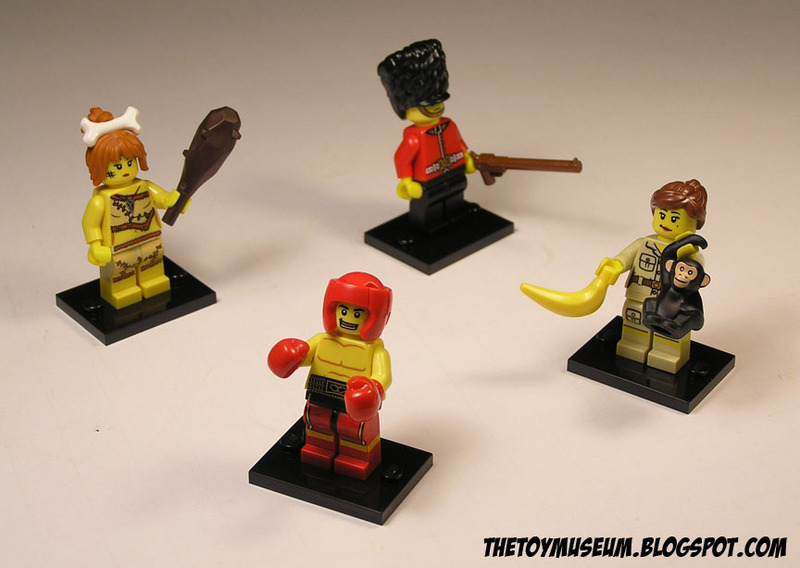 Yet there are still gems, like the Boxer, Lizard suit guy, and my favorite to hunt for the Redneck Beaver hat guy. 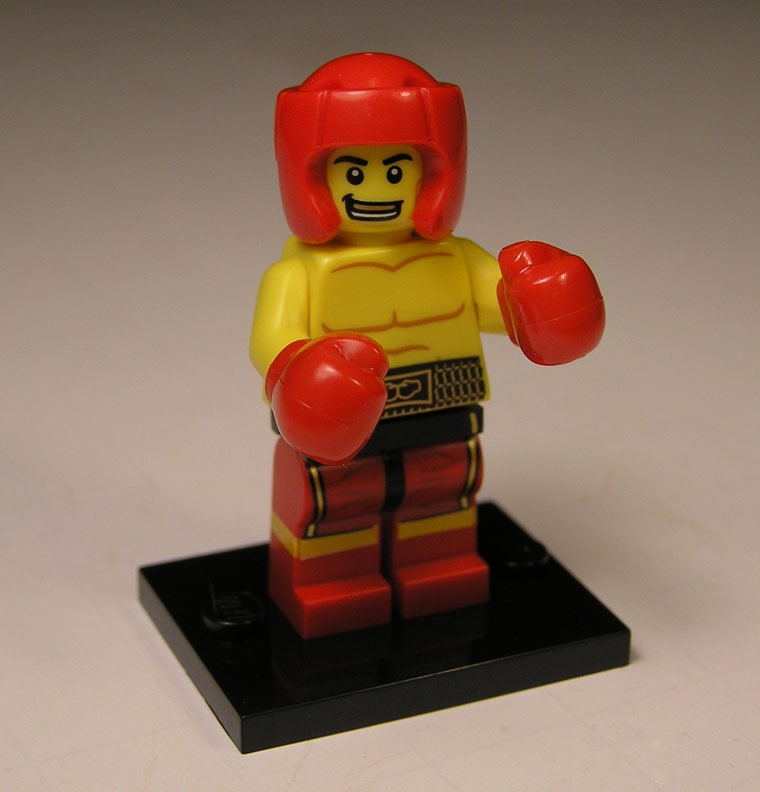 The Boxer is incredible by the way, and you will see him in action in my Epic Battles 3. Hunting for the one you want is getting pretty competitive as boxes get run through pretty fast. Our local Fred Meyer's had five to six boxes lined up and open today, it will be interesting to see how fast they get destroyed. My goal this time is to stop at 8 (half) then go online for a few more that I know are 100% identified. The check list begins, placed near my desk, to drool over and plot on. Good luck with your hunting, and I may be open for trade for the redneck beaver hat guy. 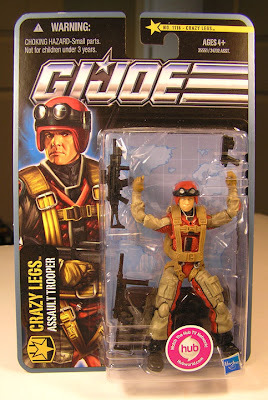 -Crazy Legs shows his sky diving stance outside of the package. One of the best part of the modern GI Joe action figure line is it gives you chances to own character's you never had before. Crazy Legs is a guy I always passed for other lame characters, like that bright green guy with the space iron, what's his name? Just look how skyriffic he looks in his card, and even spreads his legs for the hub logo. Another home run with this figure by Hasbro. 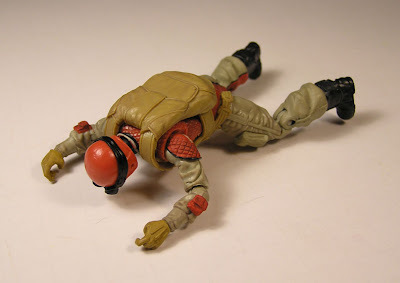 I like how he has a parachute, but its non functioning. 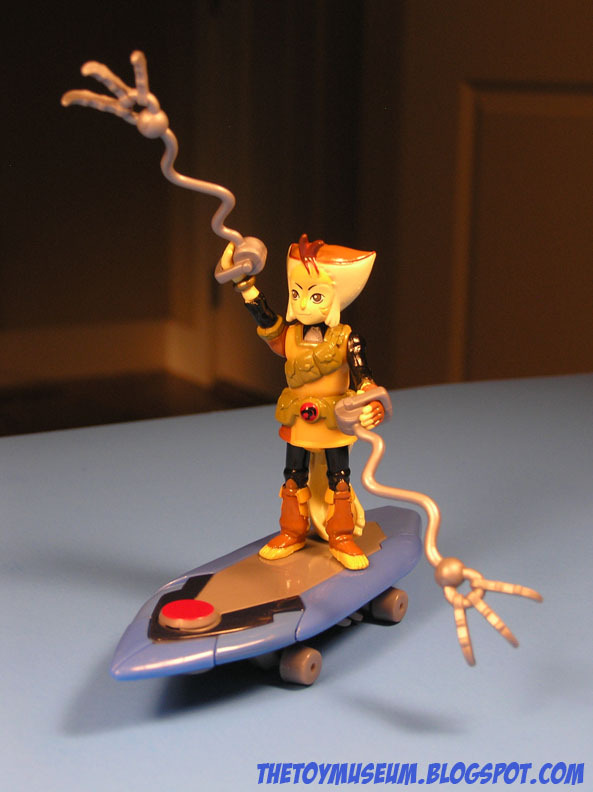 Too many toys with over functioning these days, while this guy you can truely use your imagination, and also be spared from the cat. There is a little hole on his chest, I thought for maybe a gun to connect into when he dives, but I don't see it. Anyone have ideas what it is for? Another must have if you are collecting the whole team. A big Thanks to jboypacman! I am behind on so much this month. A big Thank You, to jboypacman of Revenge from the Cosmic Ark, for this awesome assortment of awesome stuff. 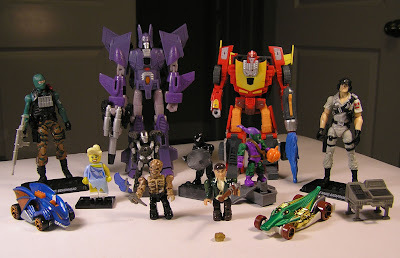 I am still trying to figure out the ratio between all this and 1 Mr Freeze Lego toy. I am especially excited about the HotRod vs Cyclonus set. I didn't want to re-get a HotRod for just one Cyclonus so I passed the set to much debate, now I can calm that thought out of existence. This is also my first chance to look at the Marvel Mega blocks minifigures, and Green Goblin being my favorite is so neat to have. All of this loot, also came in a bunch of Sandwich baggies, so I now have a couple weeks worth of lunch containers taken care of. 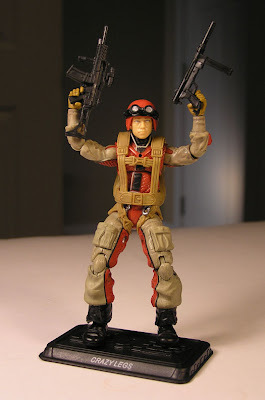 The GI Joe's are repeats, so I guess I will have to come up with a plan of attack on who to give them out too. Maybe a contest? I'm thinking of some sort of Stop Motion deal, where you send me a ten second stop motion clip of cool toys doing stuff (or zipped file of fifty pictures). I then take all the clips (or turn the photos into a vid), and combine them into a YouTube we all vote on. If I see a little bit of love on this idea, I will officially announce the contest, and add a few more Joes, and toys for the pot. Just a few short months ago, my friend Ken (ThatboyWhite) had just a few original Thundercats comics and a small set of nail clippers. Now through the magic of Ebay he has collected most of the original line up, without weapons of course, for almost next to nothing in cost. He made this spiffy fan tribute to them, and will only continue this maddening addiction. 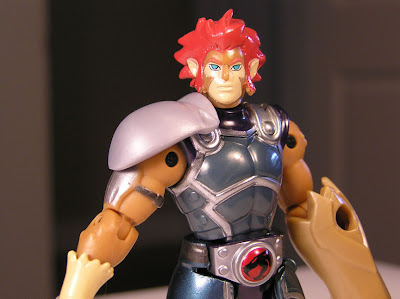 A new Lion-o is inside the den, and he is superb. So far, the new Ban Dai line is looking really nice. Yes, a bit hard to find, as these toys trickle out, but I would imagine in a few more months we will be knee deep in them. I have my search lights on for the 4" line. 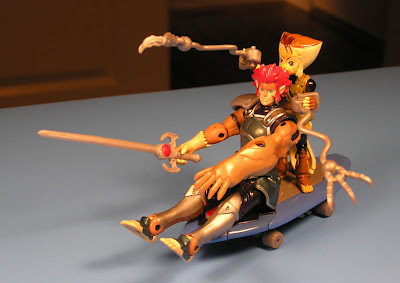 They are cheaper, and work with vehicles and play sets. 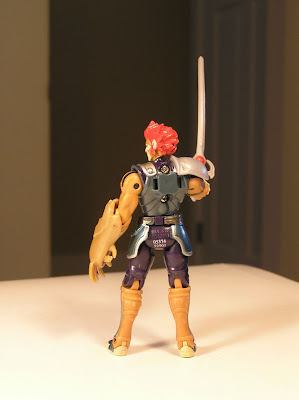 For 4", they are pretty detailed, I really dig Lion-O's blue eyes. He has a decent amount of articulation, maybe only his right shoulder armor restricting some movement. 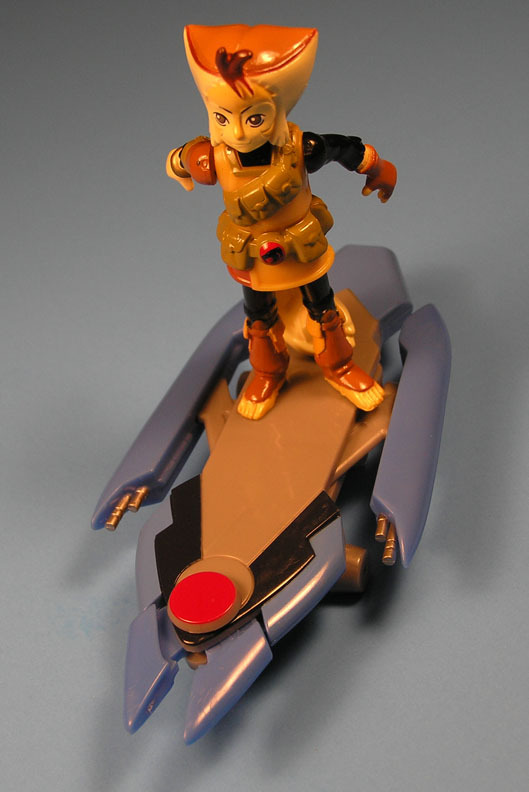 His side skirt armor is a bit more flexible for leg kick/sit movement. 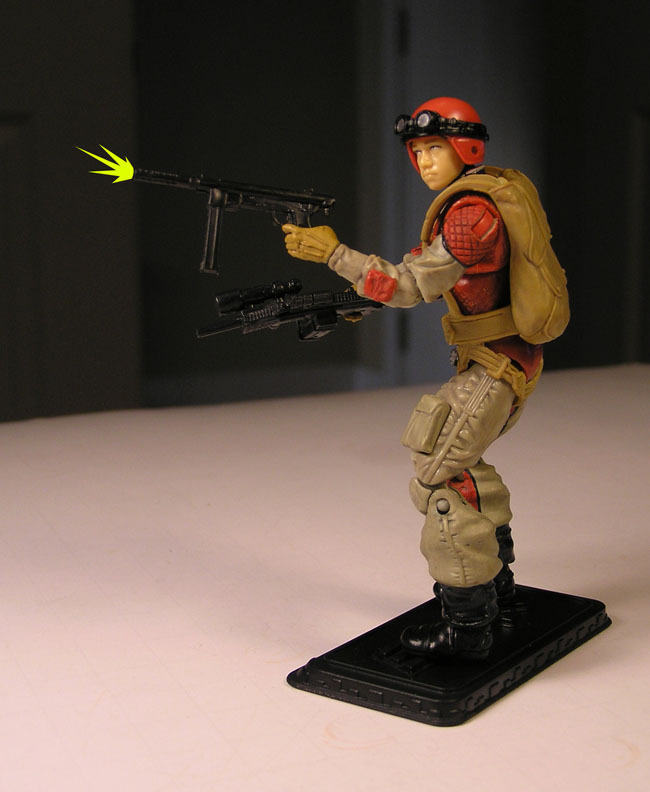 Very nice head/neck movement, thats nice as in many figures have that joint a little to tight. 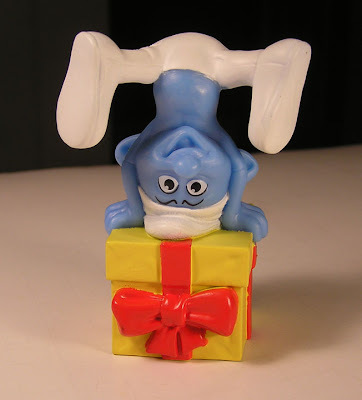 The figure is very well balanced, he can stand many ways without falling. 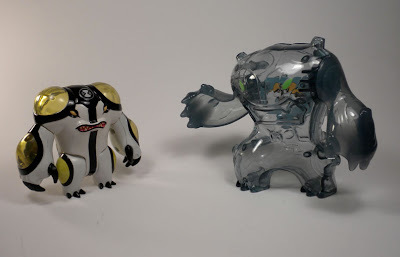 I would like to again complain about missing display stands. Those help so much to complete a figure. The fact that he can sit with knees bent though, is a fantastic improvement over the originals. 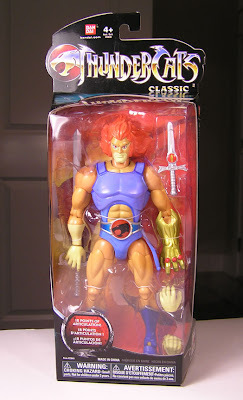 I can't wait to buy a few more of these a Thundercats. I had to do a double take with this line. 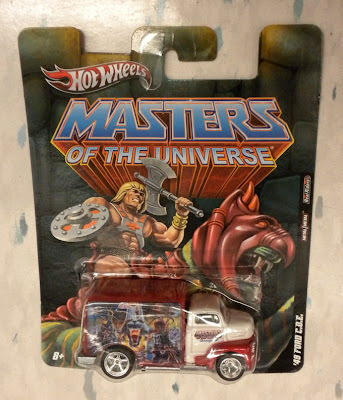 Yes, Masters of the Universe themed Hot Wheels! Pretty cool, pretty old school, pretty expensive. 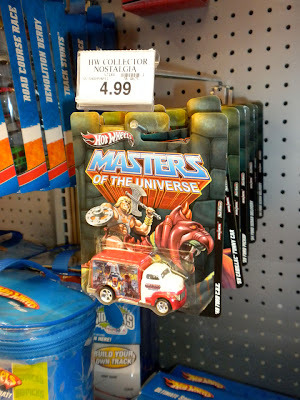 I nearly bought the truck, but then decided that it was just another jab at the collector's wallet. I don't see a good reason to fill another shelf with. It was a good moment of nostalgia though. I see eight different cars offered, only six of those styles were on the shelf that day. Don't miss out on some fun Lego display cases in the toy aisles of Toys R us. The highlight is a hologram Lego Hero Factory battle! Second best fun is spinning the Lego Alien conquest UFO wheel. Also fighting Ninjagos! Kre-O needs to step it up with actual transforming Transformers. 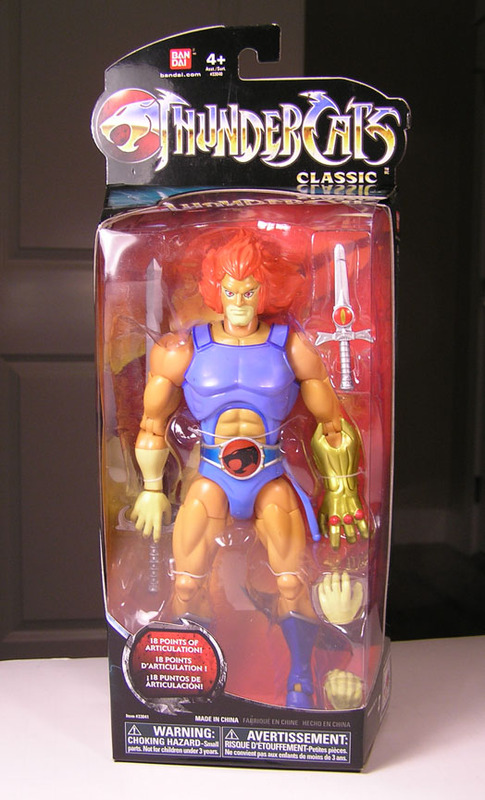 Funny, I was just winding down from a week vacation, ready to declare my absence from toy collecting, and a new sense of non-new-toy purchasing, when low and behold the new Thundercats toys come out, and quickly crush my new ways. There was so much to chose from, even with the new toys slowly trickling out into stores. Today was Toys R Us's main release date, so I had to check it out before the good stuff was gone. 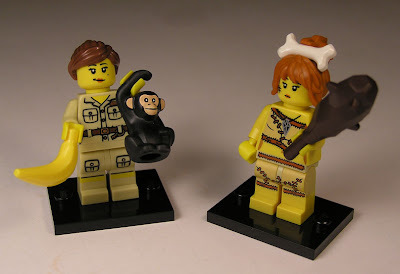 I mainly wanted to see the updated classic figures, as they are such an improvement. 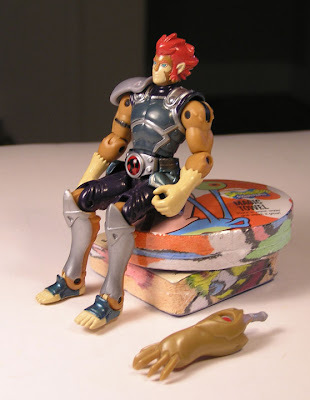 Tygra is also available, but for $20 dollars a piece, I will have to wait. I first want to say, in your face Matty Collector (Masters of the Universe Classics)! 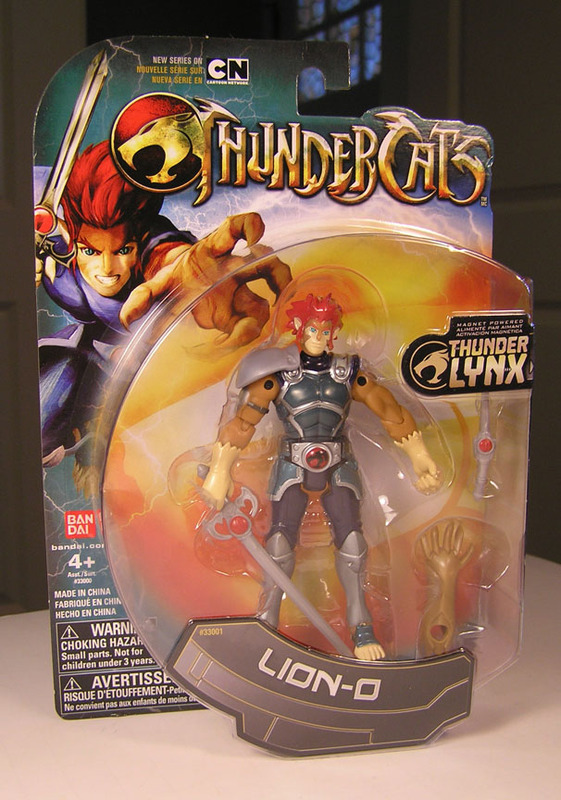 You can still sell new classic stuff like this in stores successfully. 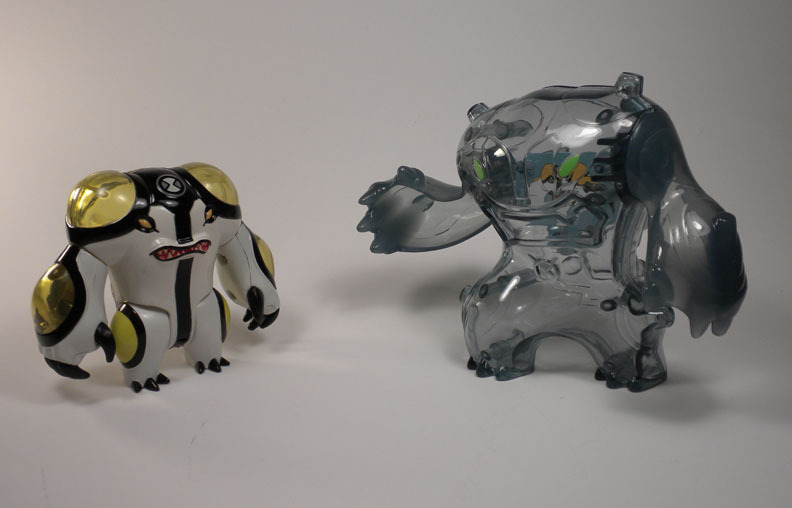 I am sure these figures will be in less quantity, and sell just fine. It is so nice not to pay shipping charges, or to be online at the right second hand click, or just being able to shop in a store like a normal person. Ban-Dai has done a pretty good job with this classic toy upgrade from the former old LJN Toys. 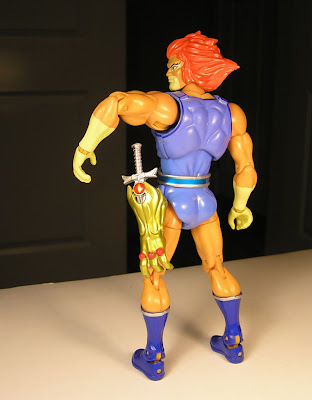 If my 1980's Lion-O had articulation like this back in the day, maybe I wouldn't have broke his leg off. 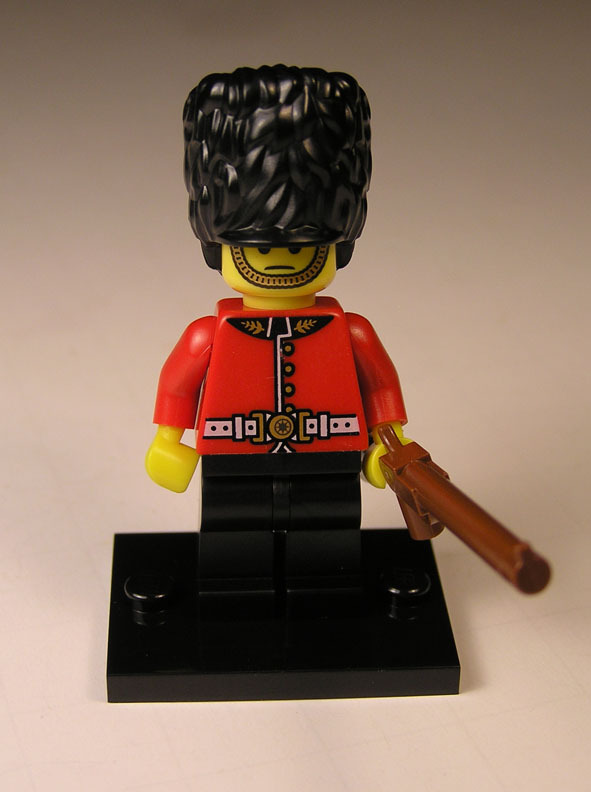 His likeliness is next to perfect, and just begs to be played with. I am also a fan of what ever plastic/paint Ban-Dai uses. I am mainly a Hasbro toy buyer so I am used to whatever plastic they make, which yes is probably superior grade, but its nice to have a change. 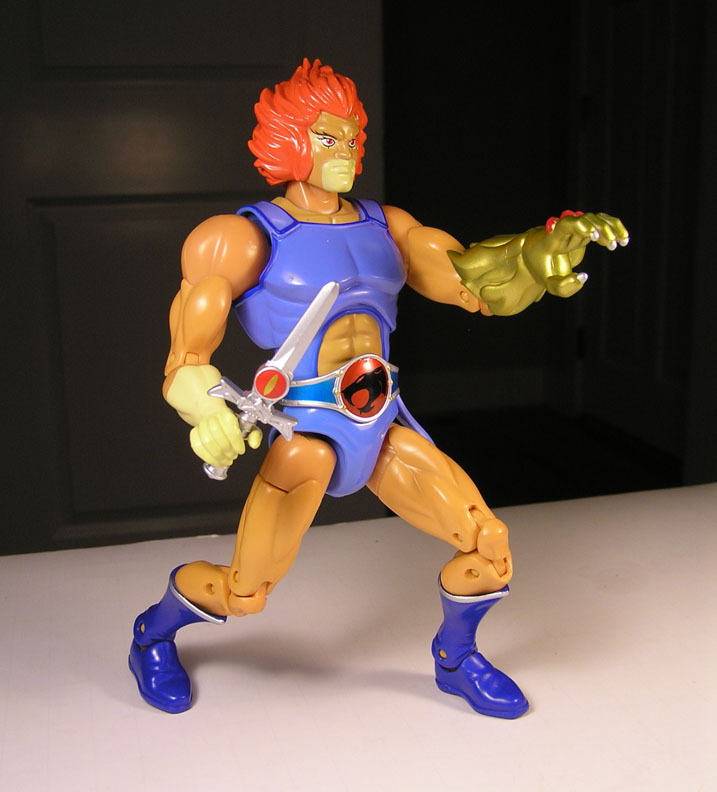 New Classic Lion-O is more vivid, and squeaky clean then Hasbro and Mattel's figures. 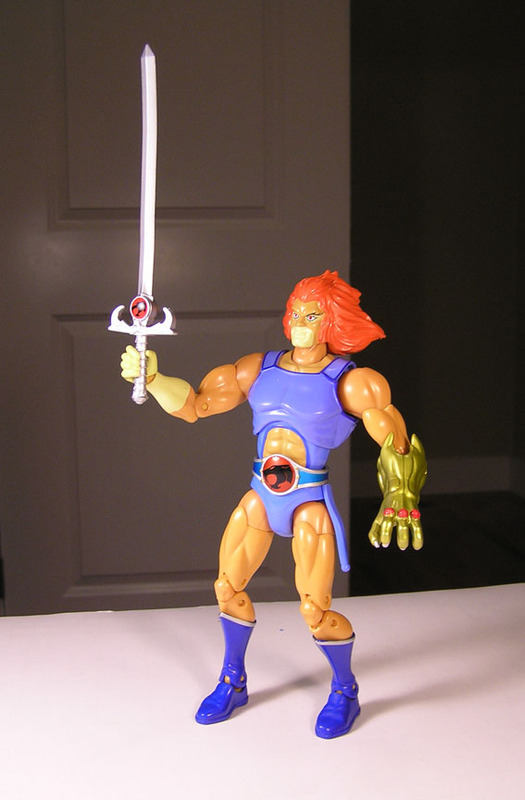 Lion-O here comes with Sword of Omens, sized small and extended. 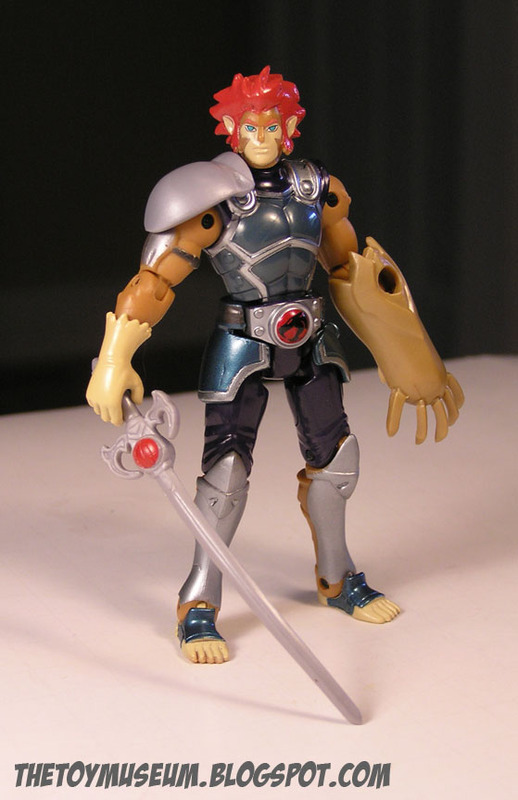 Two hands for grasping, and the Claw Shield (Which is its own hand, not a hand inside a claw). Maybe only missing is a nice display stand, which I commonly gripe about for most toys. The box is nice as you can take the toy out, and repackage for display. That's something that I will give a ton of My Little Pony points to. I am impressed with this toy, and will get more over time. This month is going to be hard to resist. Its strange, they are by all means just a big hunk of blue plastic, yet for some reason irresistible. I also tried the apple chunks today instead of the fries, and they are okay! I might be able to do this without Heart Attack Smurf's help. 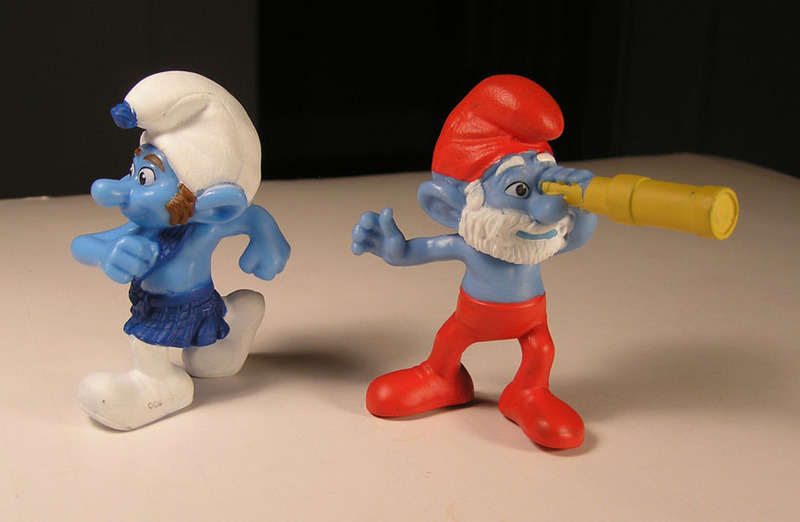 For some reason, Papa Smurf was made in Veitnam, while the others have China on them. Papa Smurf so far, is unbalanced and falls over easily. Jokey was always a favorite of mine. Of course now days, is not Jokey a terrorist? 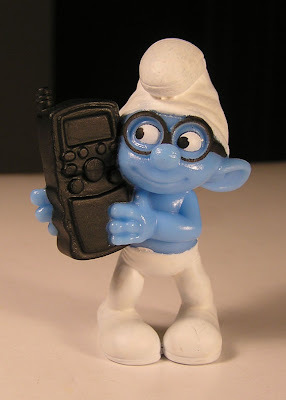 The best part of Brainy, is his voice. 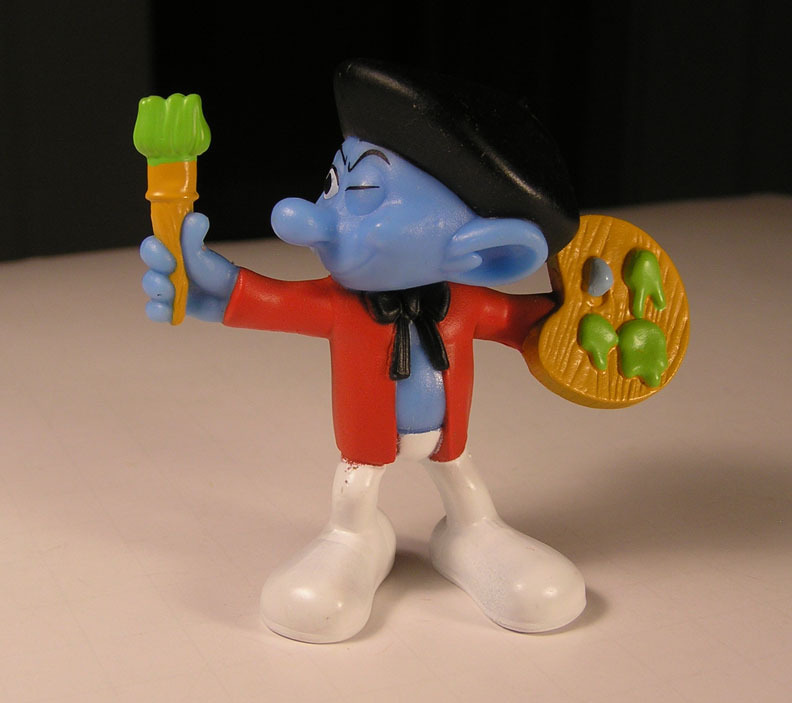 Every time you see or talk of him its; "Papa Smurf always says..."
I guess I would be a Painter Smurf if I lived in the village. 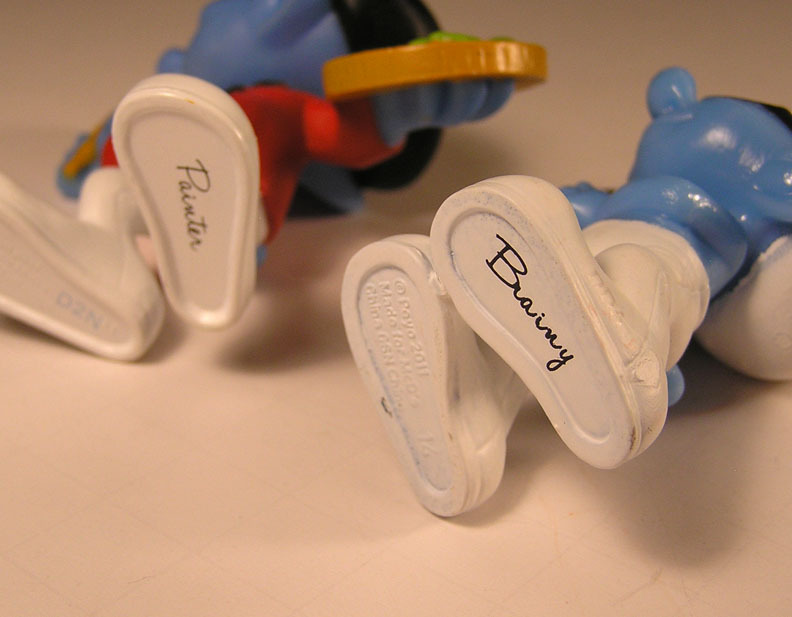 A nice feature is the scripted names on the feet of the Smurfs. It helps you remember their names. There are 16 total, so good luck catching them all. I want to try and boil them, to see if I can make gold.